Through my affiliation with Fit Approach, I have been given the opportunity to be a part of the Vega One #OneChange initiative. Now that we are rolling through 2014 (how are we half way through January already? Seriously? ), everyone is looking to make a change, and MANY of us are trying to be healthier. I know that I am working to try and clean up my eating, eat out less, and cook more. Well, with Vega One, I am going to be able to make #OneChange and do it with help! Persona Picking: Which persona are you? Solution Idea: Make a Vega One Shake Recipe! Solution Idea: Grab a Vega One Bar. Number Cruncher: All calories are not created equal—make them count, nutritionally!Less is more, right? So you keep score of everything you eat, as you eat it, on an app on your smartphone. Food and exercise are the columns on your weekly balance sheet, and you’re an expert strategist when calculating how to make up for every indulgence. Solution Idea: Make a Vega One Shake. Recipe! Weekend Splurger: Don’t skip the party—just party smarter. Your best healthy-eating intentions crumble without the structure of Monday to Friday. By Sunday night, you feel like you need a weekend to recover from your weekend. Between late nights, sleeping in, social outings with friends, and catching up after a busy week, it seems impossible to eat right. Monday is your day to reset the dial. I am absolutely a Weekend Splurger. This definitely goes back to the time when I was planning on competing! Through my coach, I was allowed to "earn" a cheat meal by being on point with my nutrition for 5 straight days. And so Monday through Friday I would NAIL it, and then Saturday night? J and I would go out, eat appetizers (plus our meals which were not healthy), drink a few beers, really live it up. Monday, you put your nose back to the grindstone! That is definitely #OneChange that I would like to make. There is no reason why I cannot enjoy myself, but how about employing a little moderation, right? So why not help myself by following the advice given above! Make a Vega One shake! I was sent several packets of the Vega One all-in-one nutritional shake in chocolate. As a general rule, I steer clear of chocolate powders (just don't like them as well as vanilla), but hey, I am ALWAYS willing to try it! I mixed up the packed with 1.5 cups of unsweetened almond milk (that is what I always buy) and it was actually pretty delicious! In one serving, you get 15 grams of plant (non-soy) protein, 6 grams of fiber, no added sugar, the same probiotics that you would get in a cup of yogurt, the same nutrients found in three servings of greens, 1.5 grams of omega-3s (the same as 2.5 servings of salmon) and the same amount of antioxidants as found in 2.7 cups of blueberries. Now I love blueberries, but that is a lot! I found all of that information here. 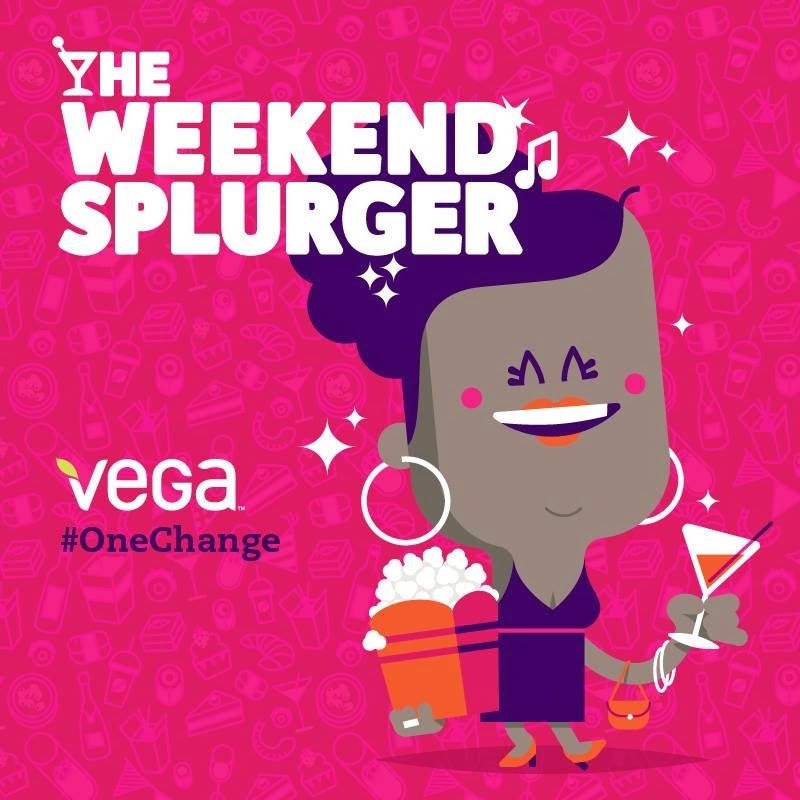 So check out Vega One and make #OneChange!